Share the post "The ‘Big Boy’ Bed, With Noa & Nani"
Little Man is now 25 months old, and so my thoughts have recently turned to moving him from his cot to a bed. A big milestone for him, so I wanted to get him something special. I had a little look over at Noa and Nani, and it was actually their amazing cabin beds that initially caught my eye. They are just fabulous looking (do go take a peek! ), and I was so, so tempted to get one, but realistically, a bed much nearer to the floor made sense for a first bed, as I have no doubt that my little climber would come a cropper if he was up high! So, a bit disappointed that he couldn’t have one, I mooched about further and I spotted this beautiful Hove Day Bed….. So sweet, nice and low, and with the huge added bonus of a trundle bed underneath. Little Man has the smallest bedroom in our house, and whilst it’s still a good size, thinking to the future, a trundle bed will be perfect for him having mates over to stay. Oh, and of course Boo is already asking to sleep in there with him! So decision happily made, we just had to wait, and show pictures of the bed to Little Man, to get him excited, rather than anxious about the change. On the bed’s arrival, I did double-check with the delivery men that I had enough boxes, as it was just 3 relatively small packages, along with the mattresses which came all rolled up. I’d expected it to take over the hallway, but it was fine, and could be kept out of the way until we had a chance to assemble it. Each package was light enough to be carried up the stairs without a problem, and every item was present and correct. It took the Husband just over an hour to put it together, and it was pretty simple to do, with a reassuringly thin instruction booklet! 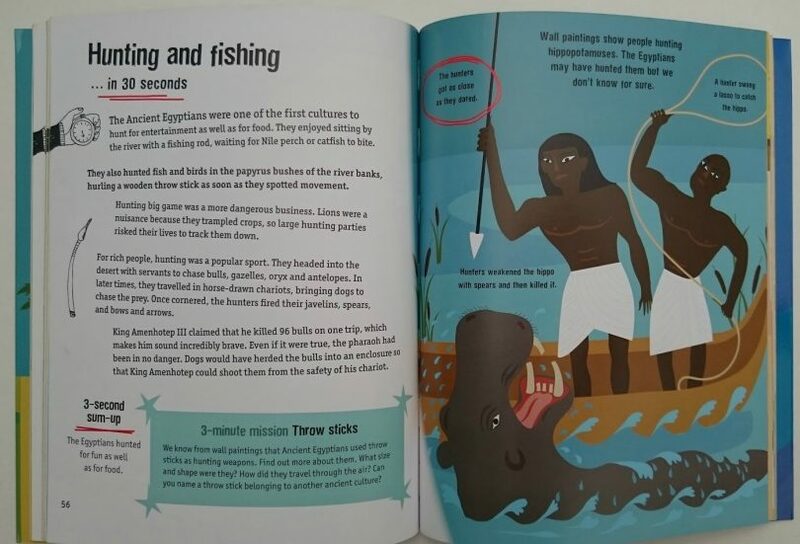 It was put together with the ‘help’ of two little people as well, as they couldn’t be tempted away from such a fascinating activity. Though it did mean that literally the second that it was ready, they were both in the bed! I took it as a sign that he liked it! Little Man had helped me to choose new duvet sets ready for it, and the first one we have on is lots of brightly coloured transport on white. So here’s the bed, all ready, what do you think? I love it! The white looks clean and bright, and it’s actually lower than I thought it would be, which reassures me in case Little Man falls out, and it really opens the room up after having a cot with high sides in there. Putting it together was easy, and it looks so stylish. Every time I walk upstairs now I smile when I look into his room! And, more importantly than all of this, he does go to sleep in it!! Alongside sorting the bed, I knew that it was time for the nursery decor to go and be updated with some fresh little touches. It’s mad me a bit sad and nostalgic, as it’s the same Mamas and Papas Gingerbread range that Boo had. It’s been here for five years, so it does feel strange to be taking it all down, but times do change and move on. Oh, and while Boo is delighted and very happy for Little Man, she has expressed some interest in having new things for herself, of course! 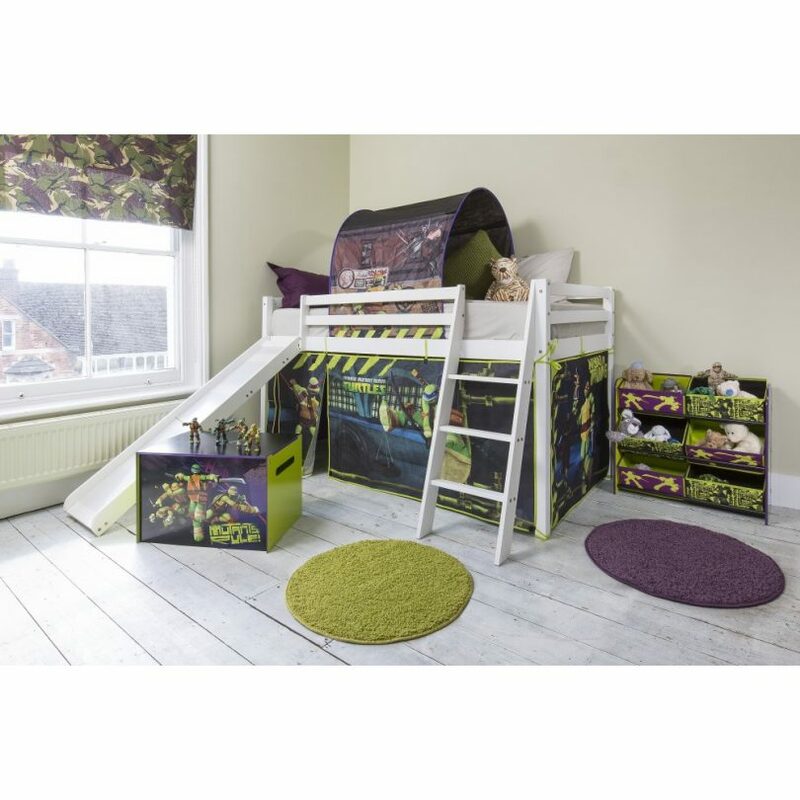 Now, she is a big TMNT fan, and Noa and Nani have a fab range that I suspect she’d love…..
Do you like the bed we went for? If you do, I have good news for you. I have one Noa and Nani Hove Day Bed available to give-away to one of my very, very lucky readers! Entry into the competition is through commenting and using the rafflecopter below, and it’s open to UK entrants only. Competition closes 10th November 2014, good luck! What product do you love from the Noa and Nani range? Disclosure: I received a bed FOC for the purposes of writing this post, though all words and opinions remain my own. I love the look of the Noa and Nani White high Sleeper Code: HS90. I have just bought the Cotswold Day bed http://www.noaandnani.co.uk/day-beds-c4/noa-and-nani-cotswold-day-bed-in-white-p84 for DD’s room! So I guess that’s my favourite for now! Love the brilliant blue cabin bed with the cool slide! Oh it would be a toss up between the Knights & Castles and Pirates cabin bed with slide. Both are awesome. We’ve actually be looking for one for my nearly 4 year old as it’s almost time for him to pass his toddler bed on to his younger brother. I’d not heard of Noa & Nani before but how reasonably priced??!! They seem to cost a fortune everywhere else. I have them bookmarked now. They are fab, aren’t they? I couldn’t believe the prices and amazing range when I first found them, too. They are now my one-stop bed shop! I have never heard of them before, but wow! Their beds are fabulous! I would love Butterflies Butterfly Canopy bed for my gorgeous little lady but I do love Noa and Nani Hove Day Bed too for my little man whose cotbed has just started falling apart and he is more interested in climbing into his big brothers bed! I would love the Army Cabin Bed for my son, with the slide, what an amazing way to wake up in the morning!!! also a very good price! The butterflies cabin bed is lovely. I love Hello Kitty & Princess Fairy Tale for my granddaughter,but they are all lovely & very reasonably priced too. 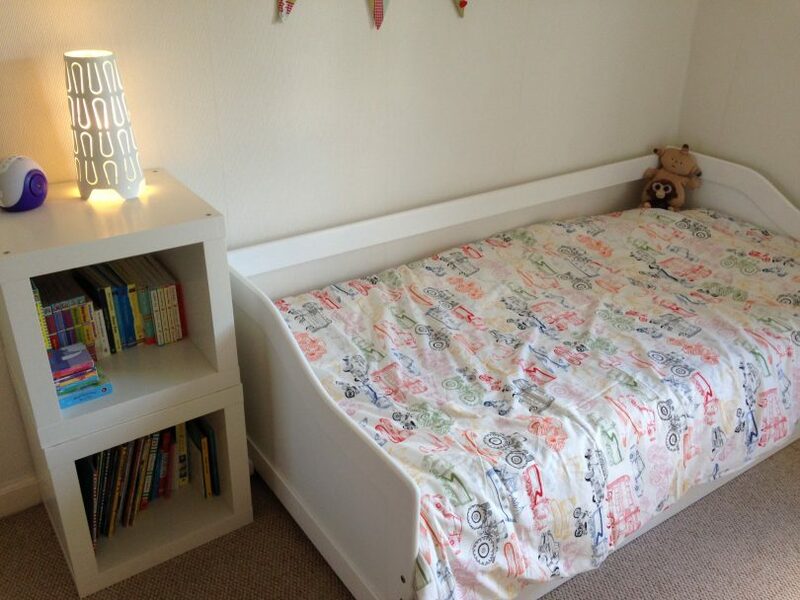 Single Millie Bed in White with Trundl, with extra Sleepover 2 in 1. The Race Car Bed for my Grandson coming to stay over. Cotswold Day Bed – such an elegant piece! What a giveaway. I’ve gone with the knights and castles bed but to be honest you can’t go wrong. I really like the butterfly design canopy! I love the Annabel bed, very girly and a fun slide with it aswell. 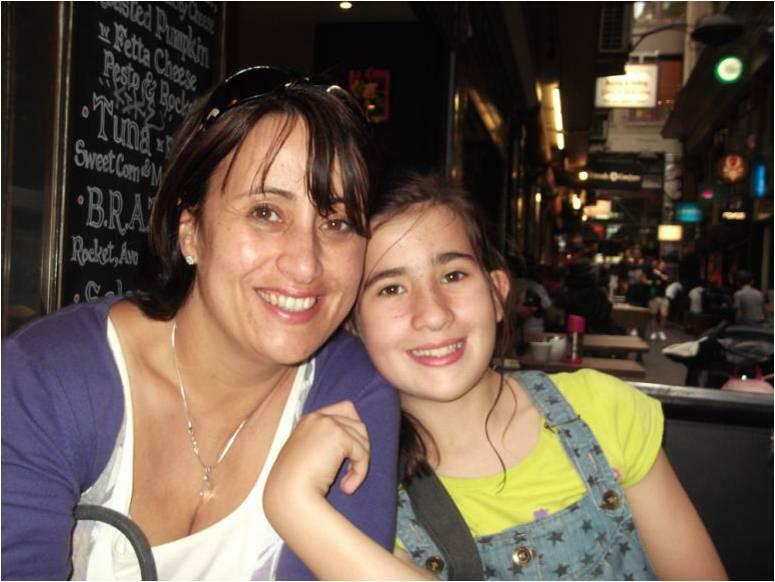 Sarah @ let them be small recently posted…Are toddler learning outcomes needed? Im a fan on the cabin bed but I love the trundle idea with your one – great for sleepovers. The Hoye Day Bed! So perfect for sleepovers! Noa and Nani dorset single – looks ideal. I bought a metal framed bed for my daughter less than five months ago from Argos and it has buckled in the middle. Very disappointed! I love the blue cabin bed with the slide,my son max would love it!! The cabin beds are amazing but I think you’ve made the right choice – pretty, simple and very versatile with the extra bed underneath. I’d love something similar for my 21-month-old, and in fact we have the very same duvet cover waiting in the cupboard for him, for when we do get him a big boy bed! http://www.noaandnani.co.uk/day-beds-c4/noa-and-nani-hove-day-bed-in-white-p24 as it would be great for my girls new bedroom once it’s finished and would save some space. I think every child would love the Brilliant Blue Cabin Bed with Ladder and Tent. I love all the cabin beds! 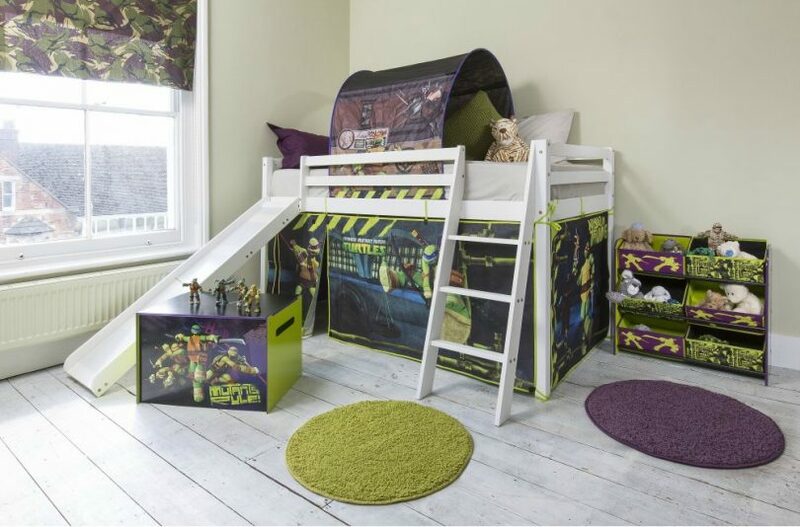 Definitely the teenage mutant ninja turtle range for my son, he thinks they are so cool! It has to be The Best of British. I’d love a new cabin bed for my little girl’s new bedroom! 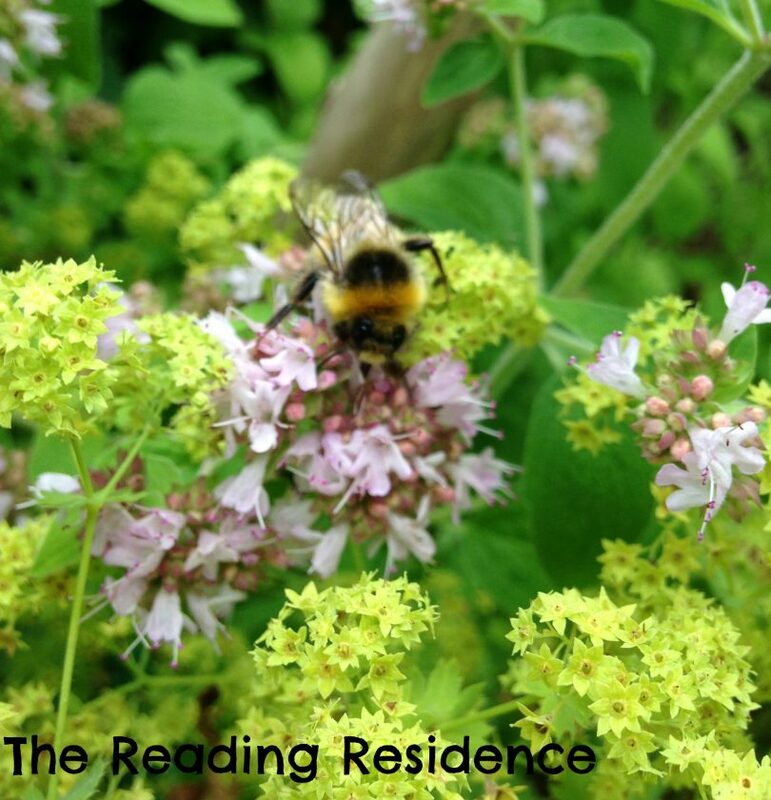 Colette B recently posted…A bit of an Autumn Bucket List catch up! 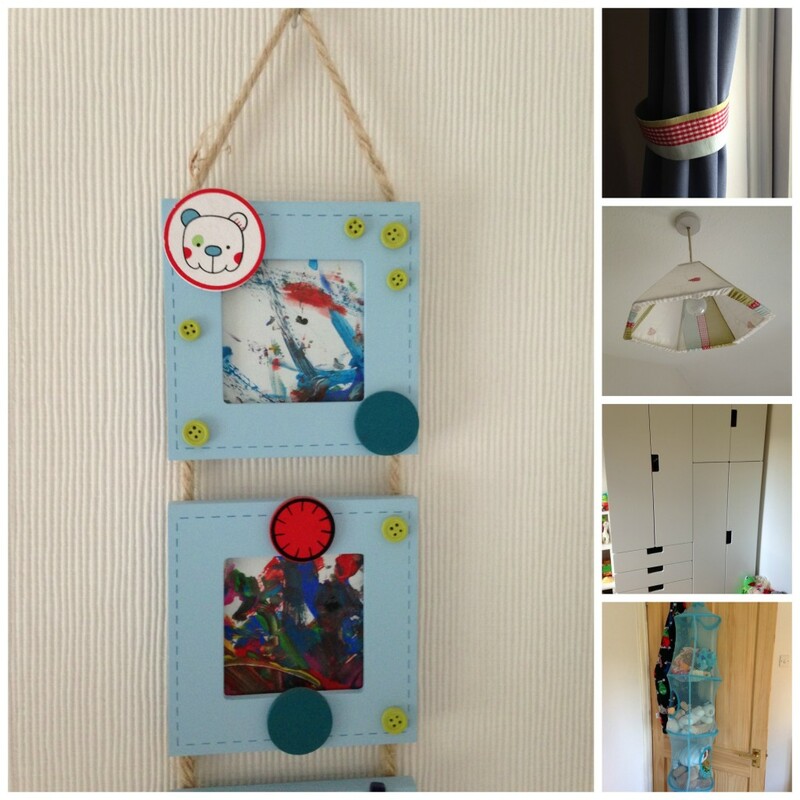 So many great designs – beautiful and practical! 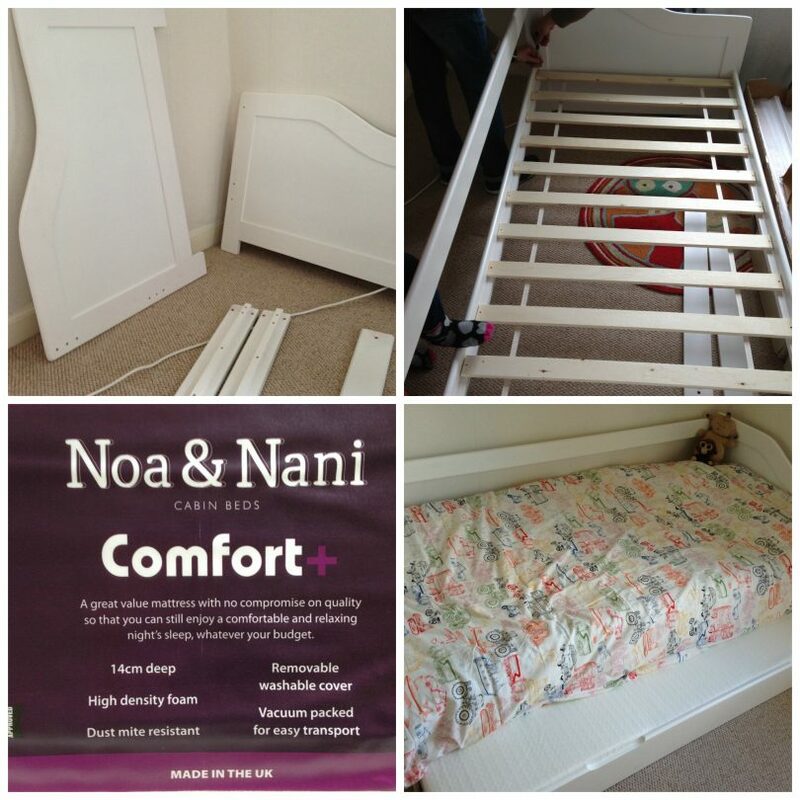 I think my favourite would have to be the Cotswold Day Bed – http://www.noaandnani.co.uk/day-beds-c4/noa-and-nani-cotswold-day-bed-in-white-p84. Drawers and a pull put bed – brilliant! http://www.noaandnani.co.uk/cabin-beds-c1/annabel-cabin-bed-with-slide-tent-tower-tunnel-in-annabel-design-p76 I would have loved this as a kid! Love the pirate cabin bed! I have my eye on the Double Deluxe Oxford Bed in Pine! 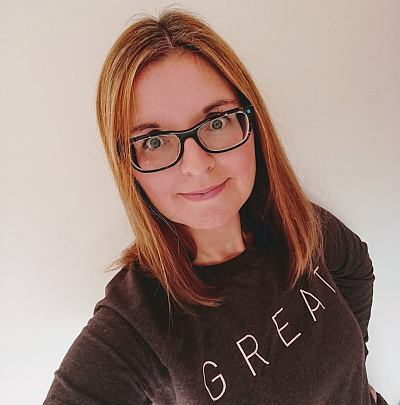 I am torn – I like the bed that you have – because it’s so practical and accessible but I also like the high cabin beds with the ladders – because our eldest needs to move into a small room and we need to put lots of space underneath it for storage and a wardrobe of some sort! So, that’s my thinking. I’d love to win this because it would mean we can put the boys into their own rooms quicker – will force me and Lovely Bloke to get on with it !!!! Liz Weston aka @TheLizWeston recently posted…When one doors closes another opens…. Double Deluxe Oxford Bed in Pine! This one http://www.noaandnani.co.uk/cabin-beds-c1/pretty-pink-cabin-bed-with-desk-and-tent-in-pretty-pink-design-p15. It suits my daughter perfectly. i love the pirate cabin bed with slide, tent, tower and tunnel! Oh my I totally want this bed! The Girl has just worked out how to climb out of her cot and does it about 50 times at bedtime – getting worried about her falling and hurting herself with all the clambering. This would be perfect! And I love the trundle bed too! We are just about to do up the boys room and I love the pirate bed! Noa and Nani cotswold day bed I’d just lovely. We are on the hunt for a bed for our toddler and these look just perfect. I love the dorset bed, perfect for a boy or girl. We love the cabin bed & the race car bed. What a fabulous range. I love the one you reviewed the Day Bed with Pull Out Trundle. I love that ninja turtle bed with the slide!! love that ninja turtle bed with the slide!! My little girl is outgrowing her toddler bed so need to look at new ones for her now. Double Deluxe has to be for me! The Brighton blue bunkbeds! We need a set for the boys and really like the colour! Vi recently posted…g nappies – the easy reusable! We love them all but especially the Spiderman toddler bed ! the ninja turtles on the cabin bed brought back memories it looks great! The canopy bed is really sweet. Me and my little boy love the pirate cabin bed! Thank you for an amazing competition and for introducing me to Noa and Nani, I had never heard of them before, but their stuff is lovely. 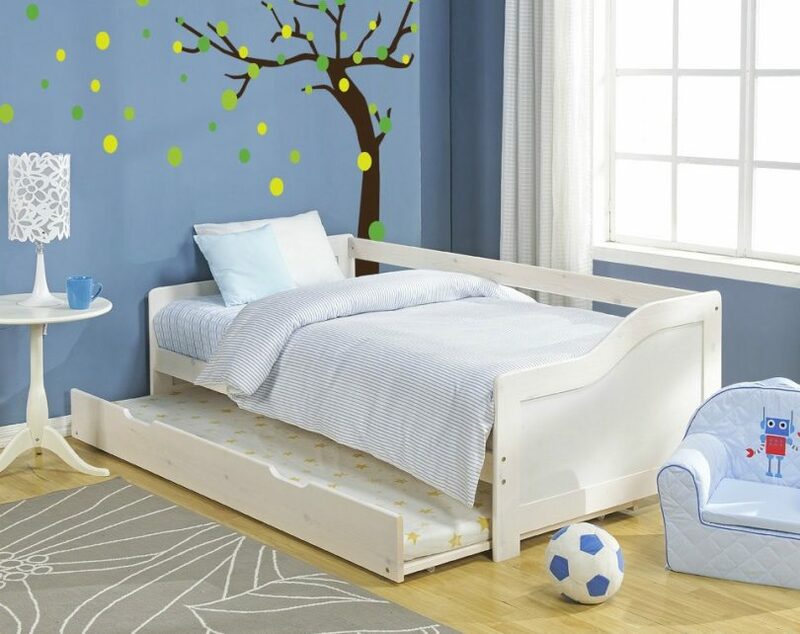 i love both trundle beds they do – this one and the larger single bed, as they would be perfect for my son and his cousin when they have sleepovers! I like the cabin beds (honestly any but i think A would love a pirate cabin bed think of the fun!) my brother had one growing up and he loved it a lot. i was always a bit jealous as had a bunk bed with my sister, we kept changing from bunked to single every now and then to make up for it!! The pretty pink cabin bed is gorgeous! I really like the Day Bed with Pull Out Trundle it would be very handy! I love the sofa bed! The day bed is amazing, just what we need!! The Butterflies four poster is amazing. Can’t believe how reasonable the prices are either! I don’t think he’s want to get up! the Noa and Nani Astrid Single sleigh Bed is lush! I adore the Knights & Castles cabin bed with slide! I love the pirate bed! its sooooo cute! The pirate cabin bed but there are so many nice ones. Lovely bed! My fav is this one! http://www.noaandnani.co.uk/cabin-beds-c1/best-of-british-cabin-bed-with-union-jack-design-bed-boards-p92 My youngest monkey would love it! Mmmm, it’s on sale too! Great giveaway! I love the union Jack design bed!